Mobile payment technology exploded in popularity in 2011, and most experts now predict exponential growth into the foreseeable future for the mobile payment industry. After breaching the milestone of 100 million active accounts, PayPal President Scott Thompson predicted in July that within the next three years, people will conduct literally all their business transactions using their smart phones. Most major credit card companies have embraced this view, as almost every brand made a move toward mobile in 2011. American Express released Serve, a mobile payment platform that enables customers to make offline, online and peer-to-peer payments. Visa launched its own peer-to-peer platform and mobile payment strategy that connected mobile payment programs in developing markets. MasterCard partnered with Google to help launch Google Wallet in the United States, and Quick Tap in the U.K. And Discover became the original partner of Isis, the mobile payment collaboration among Verizon Wireless, AT&T and T-mobile. Mobile commerce sales as a whole grew 91.4 percent in 2011 compared to 2010, according to a study by eMarketer. The same study projected that mobile sales would grow by an additional 73.1 percent next year. By 2015, the Yankee Group believes mobile payments will account for more than $1 trillion of the global economy, and Cisco predicts we will see the launch of almost 800 million mobile websites. Customer behavior and perception in 2011 also support these projections: Fiserv’s 2011 Billing Household Survey found that “more payment options was customers’ No. 1 desire when paying bills online, with nearly 20 percent of customers changing their payment technique every month. 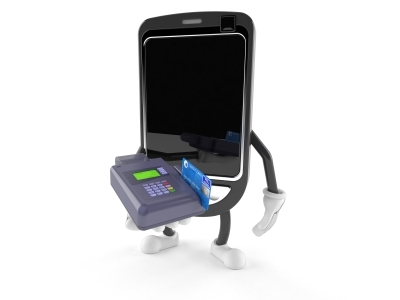 More than a few credible sources point to mobile technology as being one of the biggest game changers of the decade, which is why figuring out a way to implement a practical mobile payment option for customers should be the top priority for businesses with the resources to do so in 2012.